Building Automation Control Devices and Applications explains how building systems, such as HVAC, lighting, and security systems, can communicate information through a network of intelligent\u001d control devices. Emphasis is placed on these control devices and how they work together in common automation scenarios.Topics covered include the operation, signal types, and functions of the sensors, actuators, and other control equipment used in automated systems in commercial buildings. The textbook is organized by building system, and the operation of each system is explained to clarify the function and application of each control device. This system-based foundation is then used to introduce typical interactions between multiple systems within a building. Further coverage of building automation, focusing on communication networks, is available in Building Automation System Integration with Open Protocols. 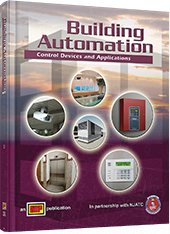 A CD-ROM is also included with Building Automation Control Devices and Applications and contains activities to supplement the textbook.